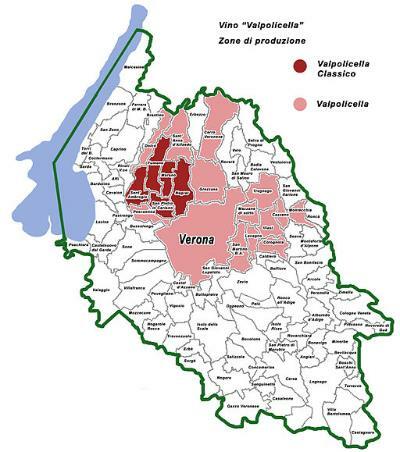 is a viticultural zone of the province of Verona, Italy, east of Lake Garda. The hilly agricultural and marble-quarrying region of small holdings north of the Adige is famous for wine production. A variety of wine styles is produced in the area, including a recioto dessert wine and Amarone, a strong wine made from dried grapes.